ELCAF (East London Comics Arts Festival) revealed their Chris Ware festival poster yesterday, and it's a thing of beauty; these will be available to buy as prints on the day (and presumably any extras will be posted online soon after), and I imagine they will be very popular, and a lot of people will be picking one up. I booked my train tickets to London a couple of weeks ago, and I'm pretty excited to be attending my first comics show of the year, especially after hearing so much about Emerald City Con and TCAF over the past month or so. I believe all the programming for the festival will be posted on the website very soon (the festival takes place a month from today)- this week- or next, but from the text at the bottom of the poster, you can see some of the guests who are due to be attending. 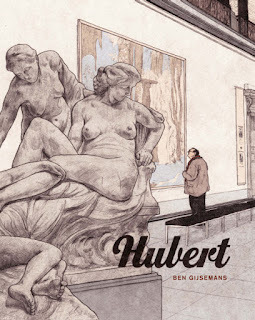 Along with Chris Ware, it appears Seth, Swedish illustrator Mattias Adolfsson, French comics artist Anouk Ricard, Takayo Akiyama, Tom Gauld, and Jesse Moynihan (who has just released his book, Forming II, with publishers Nobrow) will be at the festival this year, amongst others. I'm particularly pleased about Ricard's presence, being a huge fan of her Anna and Froga books. There'll also be over 40 exhibitors and stalls to peruse, as well as an array of lectures, workshops, and more. 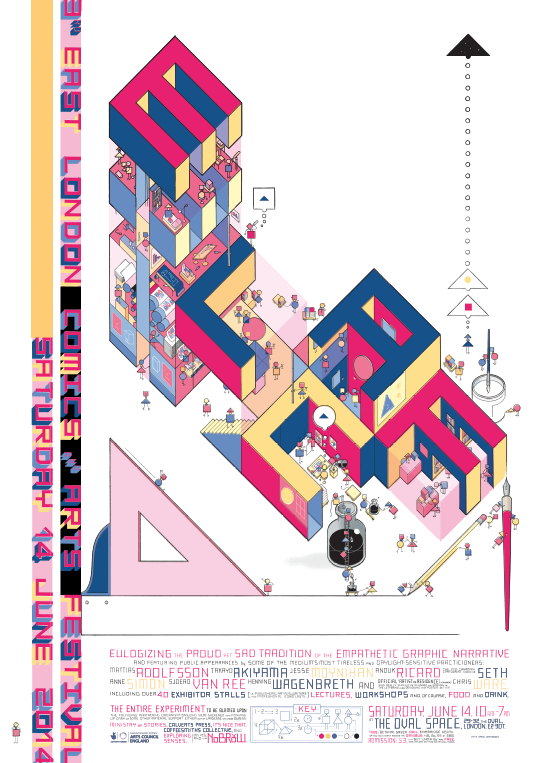 ELCAF takes place on Saturday 14th of June, at the Oval Space in Bethnal Green.